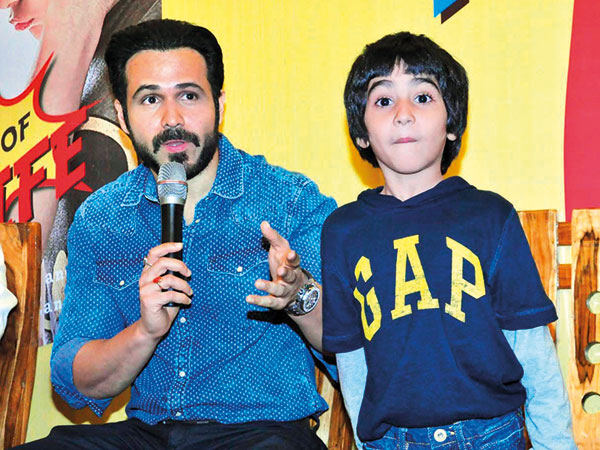 Actor Emraan Hashmi’s eight-year-old son Ayaan has been declared cancer-free. “Today, five years after his diagnosis, Ayaan has been declared cancer-free. It has been quite a journey. Thank you for all your prayers and wishes. Love and prayers for all the cancer fighters out there. Hope and belief goes a long way. You can win this battle,” he wrote. Born in February 2010, Ayaan, the first child of Hashmi and wife Parveen Shahani, was diagnosed with first stage cancer at the age of four in early 2014. In 2016, Hashmi also wrote a book titled ‘The Kiss Of Life’ on Ayaan’s battle with cancer. On the work front, the 39-year-old is gearing up for the release of his forthcoming film ‘Why Cheat India’.